staples, Contact Artsons Wire for fast, personal attention. With four generations of “Art’s Sons” in the business, Artsons Wire is the leading California manufacturer of bright basic and black annealed steel wire, and distributor of galvanized wire for commercial, recycling, construction, agricultural, and custom applications. To better serve our customers, Artsons Wire has now expanded to add quality landscape staples to their list of wire products. Baling products for manual, automatic, horizontal, and vertical balers. Our baling wire is ideal for recycling. We make a range of easy to tie, durable wire baling products. 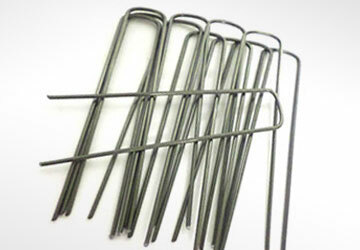 Black annealed and galvanized wire, deformed wire, and bright basic and hot rolled steel wire. 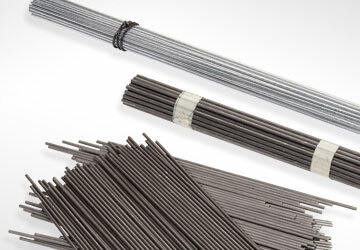 Artsons industrial wire is used in many applications such as display racks, decorative items, and concrete reinforcement (including castings and funeral vaults). Our industrial wire is stocked in many sizes ready to ship. Artsons Wire is positioned to meet your needs with no minimum order requirements. Also known as sod staples or jute pins. This is the newest addition to the Artsons Wire products line and new distributors are welcome. Learn more about how our variety of landscape staples can extend your quality product line. Immediate delivery, no minimums, made in the USA, with flexible order sizes and custom service–Artsons Wire fits all of my needs. Their fast turnaround, straighten and cut service makes them our full service industrial wire manufacturer. 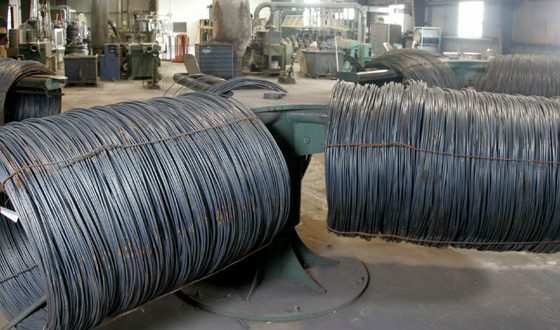 Artsons Wire baling wire is made to our specifications. Even when we run out and require a rush order, Artsons Wire delivers baling wire that meets our specifications–on time–every time. 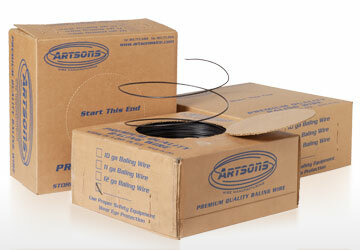 Artsons Wire stocks the bright basic wire we need and delivers immediately. Their fast turnaround, quick response when we call, and terrific customer service can’t be beat. Even our special requests are handled quickly and accurately.